Oscar Jansson, Conor Powell, Craig Sives, Ken Oman, Conor McCormack, Killian Brennan, Stephen Rice, Ronan Finn (Chris Turner 82), Gary McCabe (Gary O’Neill 90), Aaron Greene (Billy Dennehy 22), Gary Twigg. Brendan Clarke, Jake Carroll, Conor Kenna, Kenny Browne, Pat Flynn, Jake Kelly (Darren Meenan 63), James Chambers, John Russell, Greg Bolger, Dean Kelly (Sean O’Connor 63), Anthony Flood. 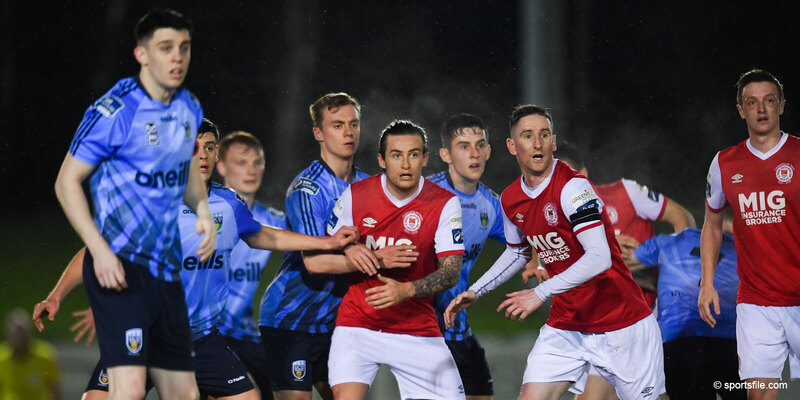 Pat Flynn nabbed an equaliser in the 90th minute as Shamrock Rovers were denied a much-needed victory by St Patrick's Athletic at Tallaght Stadium. Craig Sives headed home from substitute Billy Dennehy's free-kick in the 71st minute and it looked like were on course for the three points until ex-Hoops man Flynn struck. Pat's goalkeeper Brendan Clarke had made a great save from Gary Twigg to keep Pat's in touch and the late goal means the Saints are four points behind leaders Sligo Rovers, and still four clear of the troubled Tallaght outfit. 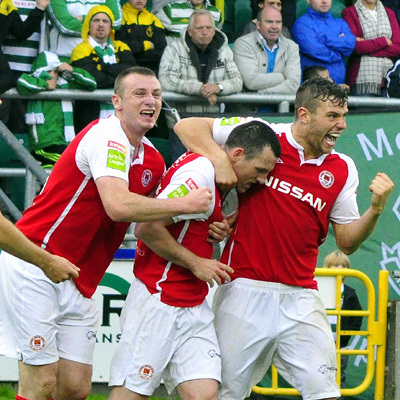 Kenny made several changes from the side that were crushed 4-0 against Bohemians last week. Kerrea Gilbert, Graham Gartland and Gary O'Neill were some of the players left out after disappointing performance in Dalymount. Conor McCormack came into defence, Stephen Rice returned to midfield and Aaron Greene was also given a rare start for the Hoops. 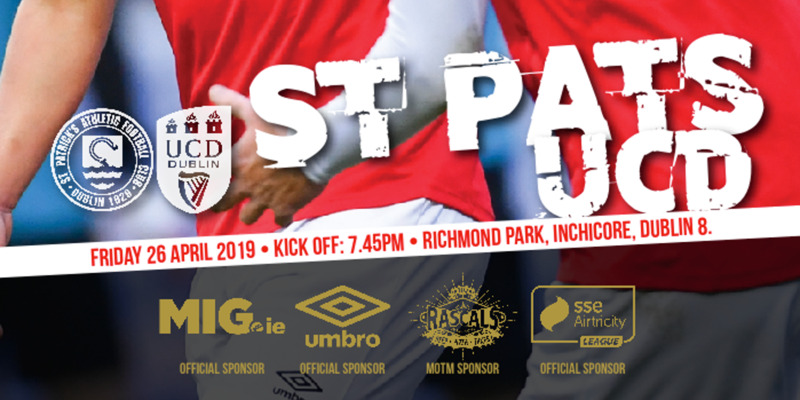 Jake Carroll, Pat Flynn, Jake Kelly, Dean Kelly and Anto Flood were brought in by Liam Buckley as the Saints rotated their side with Thursday's return leg with IBV in the Europa League in mind. The home side made the brighter start with Killian Brennan 20-yard free kick firing over the crossbar after Greg Bolger had fouled Ronan Finn. Pat's had a fantastic chance to open the scoring in the 13th minute. Dean Kelly played a one-two with namesake Jake and crossed to the back post but Anto Flood's header was superbly touched behind by Rovers keeper Oscar Jansson. Shamrock Rovers have introduced Billy Dennehy for the injured Aaron Greene midway through the half and had two clear chances in the following minutes. Brennan whipped in a cross for Twigg to knockdown to Sives but he fired his shot over the bar. A minute later Sives again went close again but Brendan Clarke saved his downward header. Rovers enjoyed another good opening in the 51st minute. Ronan Finn skipped past the challenge of Kenny Browne before playing a one-two with Gary Twigg, but Conor Kenna got back in the nick of time to make the block before he could shoot on goal. The game looked like ending in stalemate until two moments of drama in the final 20 minutes. Sives, with three chances already in the game, finally found the back of the net with a superb header from Dennehy's delivery. Gary Twigg could have sealed the win when he went one-on-one with goalkeeper Brendan Clarke but the goalkeeper made a wonderful save to deny the in-form striker. Pat's created little in the second half but in the final minutes John Russell crossed from the left to the back post where ex-Rovers defender Flynn controlled and drilled a low strike to the bottom corner. 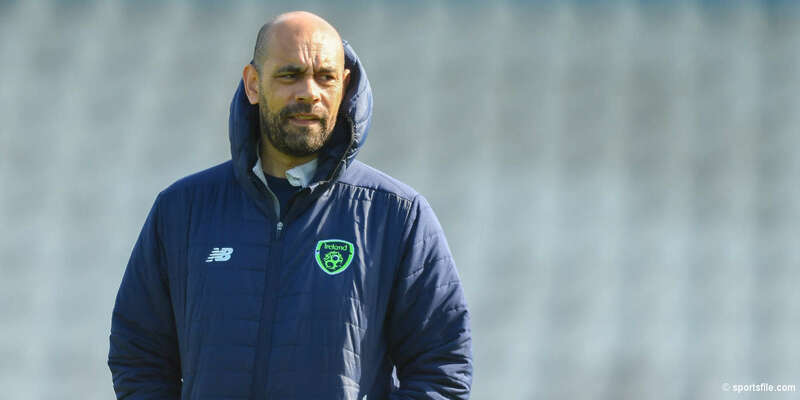 It was a cruel blow to Kenny who could only put his head in his hands as his tenure took another knock and the Hoops remain eight points behind Sligo in the table. Pat's are just four points behind the Bit o' Red and will return to European action boosted by another excellent result.